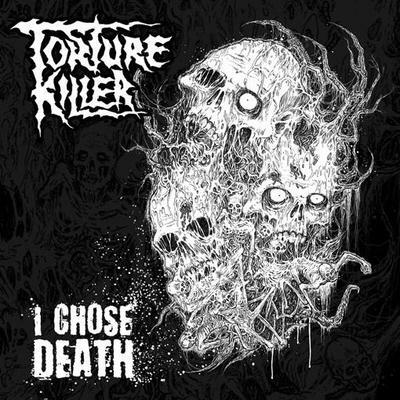 Finnish death metallers TORTURE KILLER will release a new three-song EP entitled "I Chose Death" on March 7 via Dynamic Arts Records. It contains two new tracks and a cover version of DEMIGOD's "Succumb To Dark" song from the "Unholy Domain" demo tape. The cover artwork was created by Mark Riddick and can be seen below. "I Chose Death" marks the recording debut of the group's new singer, Pessi Haltsonen (RETALIATORY MEASURES), who is described by his new bandmates as "a perfect fit" and "a human powerhouse." The songs "Succumb To Dark" and "I Chose Death" are now available for streaming below.